Home Guest Posts Does safeguarding always protect our children? Today's guest post is from a mum currently camping out at the paediatric intensive care unit in Southampton. Not a home any of us want but what if this was a visit that maybe didn't need to happen? Last Friday, my gorgeous daughter was 12 years, 8 months and 6 days old (which is roughly 12 years, 8 months and 6 days longer than they expected her to live - but that’s another story for another day); but thanks to a brand spanking new protocol we found ourselves, on that day, being blue-lighted from Kent to Southampton. As a parent I expect to get a call from school every now and again, and, as a mum of a child with complex and profound disabilities, I probably get more calls than most. Some calls are, by their nature, necessarily alarming but how do you ring a parent and tell them an ambulance is on the way for their child without actually alarming them? So shall I tell you why I got the ambulance call on Friday? Well, it all started with another phone call some 10 days earlier. A short call from the class teacher to me basically saying that as of the next day all of E's interventions at school would be STOPPED. Apparently this is a new safeguarding protocol directed from Kent County Council to all special needs schools and must be implemented immediately. These have been the staple components of my daughter’s school life for the past 7 years but the two that particularly concerned us were the cessation of the chest physio and the suctioning. These interventions had been introduced following a major admission to Maidstone hospital for pnuemonia in September 2009. This hospital admission was severe enough for me to be given 'the talk' on several occasions whilst the team fought to resuscitate her! This admission saw us gain a new piece of equipment to take home (Horrid Horace - the suction machine) and a regime of chest physio to be done daily at both home and school. I believe that these two 'interventions' are solely responsible for keeping my daughter out of hospital for these past few years. So what effect would removing them have? Well we found out less than 10 days after that call. 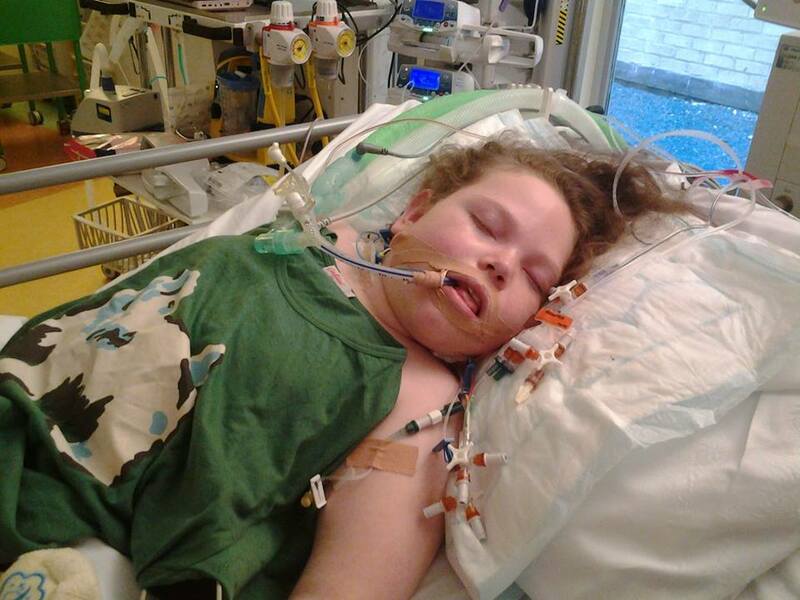 I am writing this from Ronald McDonald House at Southampton hospital whilst my daughter languishes in paediatric intensive care unit in an induced coma with a machine doing her breathing for her! We are part way through the education and health joint care plan for my daughter so why change the provision before that's finalised? Firstly, a letter is required from my daughter's paediatrician with the diagnosis and description of what intervention is required, essentially a prescription of her physiotherapy needs. And thirdly every member of staff needs to be individually trained, by the physiotherapist, to carry out these procedures specifically on my daughter. These plans need to be reviewed and updated every 6 months otherwise the intervention will be ceased until the review is done. Obviously this whole procedure will be delayed by the fact that the school hasn’t had a physiotherapist in post for nearly 18 months. We did have a physiotherapist write a detailed paragraph or 2 in preparation for E's Education and health care plan but it didn’t mention any of E's required interventions - another story. We added our own complications by moving house in December 2012. We needed somewhere more suited to having a wheelchair. However, this means we are no longer under the care of the paediatricians who originally prescribed these interventions, and despite moving over two years ago, we had only seen our new paediatrician once, the week before the phone call. Yes, it has taken 2 and a half years for a lead paediatrician to be appointed for our daughter with profound and complex medical needs (but again, that’s another story). However, if there had been a lead in time (or some sort of notice) for the new intervention protocols, we could have got the letter before the intervention was removed. So what’s the thinking behind this new protocol? In principle, I agree that it’s sensible and safe for staff to be trained specifically to give my daughter the interventions she requires but surely that’s what the EHCP is designed to do? So why pre-empt it and change the provision without notice before the EHC Plan is complete? Why is my daughter’s school implementing this with immediate effect (at the instructions of Kent County Council), yet none of my friends with children who receive interventions at other special needs schools in Kent have heard anything about it? Why were parents not advised, in writing, of the change in protocols? How is MY daughter's health being safeguarded in removing those interventions that have effectively been keeping her alive. Someone somewhere should be hanging their head in utter shame! 4000 and counting: Did you have a satisfactory EHC plan issued last year? Not sure whether Kent has issued poor guidance or the school has misinterpreted but this is absolutely not in the spirit of the new DfE guidance it appears to have been based on. Yes, the DfE says these things should be in place but nowhere does it imply that medical care should be stopped. It was intended to have the opposite effect – to make clear to schools their statutory duty to meet these needs. Special school safeguarding officers all over England will be horrified to read about your daughter’s situation. You are all in my thoughts. Shocking story – and thought provoking. Think of this in the context of a role reversal. Who would be in custody if a parent withdrew any such interventions and the same happened. I can hear the blue lights on the way to parents houses as I write this if we had made this same decision. Yet when professionals make decisions in the interest of safeguarding and it goes horribly wrong no-one makes them accountable and arrests them and charges them under the same law we would be prosecuted for in this mad world. As parents we “just give birth” to children with disabilities and provide cheap care for the state with what appears to be very little rights to protect us and our children from the harm the “professionals” pour on them in heaps when they get their policies and actions wrong.